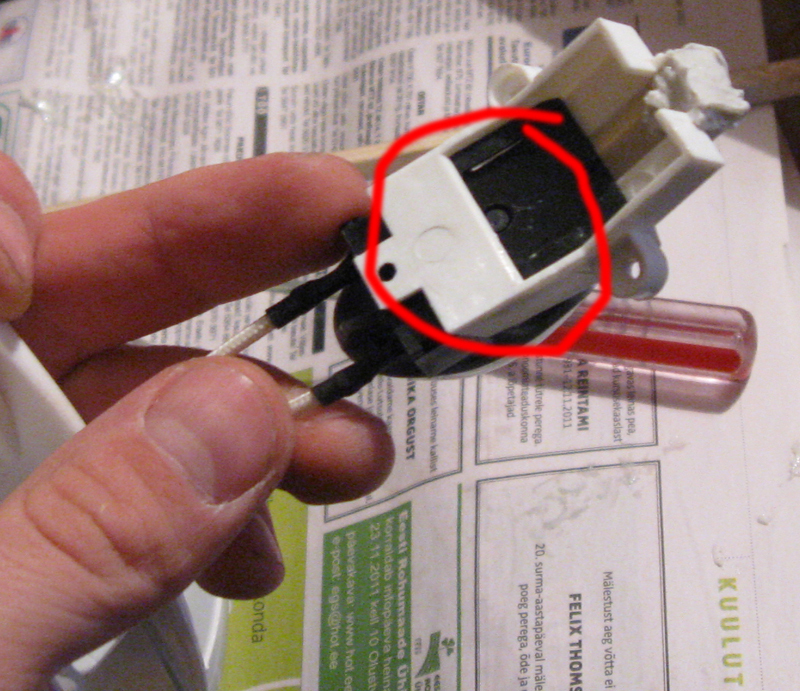 Here is the switch which was in the handle. The kettle actually has a passage built into it, trhough which steam will go into the handle to wash agains the metal flipper switch. On the picture, unfortunately, I have already removed the disk.